Golnaz Zilabi, Portfolio Analyst at RBC Wealth Management Private Banking, was a member of “IRIS Cameras,” International Business class team that finished 1st place in the GLO-BUS simulation exercise conducted during IB Winter 2018. 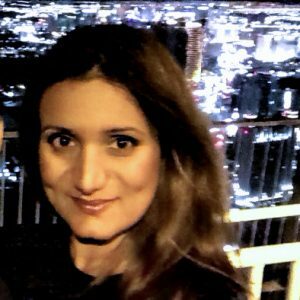 In a recent virtual interview, Golnaz shared her thoughts on accepting the challenge of a robust academic journey and how her studies influenced her personal and career goals. My reasons for pursuing MBA studies were both personal and work-related. I recognized the MBA(FS) brand and Dalhousie’s prestigious reputation meant nationwide recognition of my credentials and an enhanced business and career standing within my profession. My position as senior account manager and extensive experience in the financial services industry provided an excellent foundation upon which to broaden my knowledge and strategic mindset. I am curious and have an infinite interest and appetite for deeper learning that opens new possibilities and career opportunities that come when interacting within large business networks. I appreciate connecting with other finance professionals and executives. Accepting an academic journey satisfied my innate need to explore new ideas and challenge myself to attain a greater understanding of our complex world. There is no limit to what you can accomplish with an MBA(FS), given the variety of courses and material covered during the program. Students are furnished with solid basis of business fundamentals, specifically in financial industry. The future promises astonishing changes within our work forces and job functions. Professors create learning environments that promote vibrant dialogues and inspire leadership qualities. I always had a goal to take my career to a new direction and pursue opportunities and challenges which I had previously never encountered. I viewed the MBA(FS) as an investment in myself with the aim of developing another versatile and valuable career path within my existing organization. My academic journey has influenced my career path even as it has transformed my personal outlook. I have developed my autonomy and strengthened my analytical skills and knowledge which I adhere in my day-to-day routines as a Portfolio Analyst. My management and communication skills have been heightened, adding personal credibility in my chosen career path. As a Mother of two small children, I tackled the challenges of balancing my studies, career and spending quality time with my family. I received inspiration from my beloved husband and truly treasured his ongoing support and encouragement. The flexibility of program was invaluable. I appreciated how the Centre for Executive and Graduate Education tailored the courses to my individual needs and enabled me to develop a plan that fulfilled my commitments. I learned how to proactively prioritize and schedule my time. As soon as I figured out my rhythms, I was able to assign my times accordingly. I also considered my learning style and developed a model which worked for me most effectively. I used every resource available to me as a student and adapted to my new lifestyle. I was amazed by the level of energy that I had when striving to achieve my goals. I embraced a flexible mindset and enjoyed collaborating with my classmate. Being receptive to other point of views opened opportunities for innovative thinking. It all came down to being adaptable to my new lifestyle and including time-management strategies into daily routines. The outcome of my studies has been increased resilience and well-being. CEGE Connection is pleased to advise that Golnaz has graciously agreed to be a repeat contributor on CEGE Connection. The phrase, Life-Long Learning, has become a ubiquitous tagline that involves our need to explore new horizons and opportunities. Our curiosity to know what is around the next corner stirs our adventurous spirits. Adventures, however, are not for the faint of heart, for there is ever the promise of risk, hard work and ambiguity. Applying for an MBA program takes courage and resolve, characteristics that will remain faithful companions on the road ahead. Sara Kassim, MPA, Senior Manager, Home Equity Financing Acquisition at RBC, chose Dalhousie’s MBA(FS) program to complete a second master’s degree. In a recent virtual interview, Sara shared her vision of life-long learning and why she chose to enroll in this robust academic program. Why did you decide to enroll in the MBA(FS) program? I have always enjoyed academia (No…nobody is paying me to say that!) Enrolling in my first master’s program in Public Policy and Law kindled my passion and enthusiasm for learning. Graduate studies offered me fresh perspectives and the environment to push the envelope. No idea or theory was too crazy to consider, examine and test. Dahousie’s MBA(FS) was a natural progression in my academic journey, given that I currently work within the financial services industry. 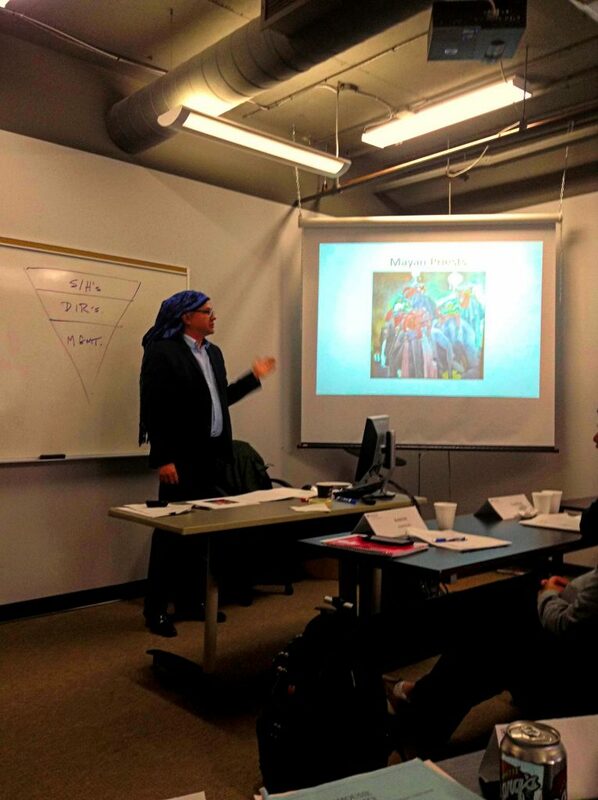 I chose the MBA(FS) specifically for its rigorous and hands-on approach to experiential learning. Students acquire practical and relevant skills needed for this sector. Strengthening my quantitative skills, critical analysis and decision-making abilities were true motivators in choosing the Dalhousie MBA(FS). As I near the end of program, I am confident that the knowledge and experience gained over the past months, will permit me to contribute to the success of my organization. How has your studies influenced your decision-making? Have you changed how you process information? Are you more strategic? My studies have improved my strategic thinking capabilities, which facilitates optimum decision-making. Based on both my work experience and learnings from Dalhousie’s MBA(FS), I can quickly identify the risks and corresponding mitigating factors of decisions that need to be made. In this sense, I am more comfortable in taking calculated and prudent risks. The MBA(FS) increased my capacity to work efficiently, develop and implement the necessary tactics, and most importantly, the aptitude to quickly move from analysis to action (instead of analysis paralysis). I would also say that I live a life of no regrets. My decisions today will be based on current information and discussions with all relevant stakeholders. If my decision changes tomorrow, I do not regret my decision yesterday, as it was based on the most up-to-date information/stakeholder opinions at that time. How do you keep work-study-life balance? I maintain focus on what matters; I view things in a macro and micro way, depending on the circumstances. This allows me to remain even-keeled and able to navigate through life in a measured way; my responses align to the level of urgency required. I am fortunate to have an employer that encourages healthy work/life/balance. They support their employees both through verbal and through actions; they provide opportunities to put learnings to work in the organization to solve everyday business problems. Employees are encouraged to seek personal growth and in so doing, achieve return on investment through career advancement. When studying, my strategy has been to spend one weeknight and one weekend evening studying and completing assignments. This way, I am not overwhelmed as the time for the intensive and exam approaches. I also like to catch up on my readings during timeslots that do not seem to impact my ‘free time.’ For instance, if I am taking the subway to and from work, I will bring my textbook to catch up on that week’s readings….so if I get 40 min of reading done on the subway, that’s 40 minutes less I am doing at night or on weekends!